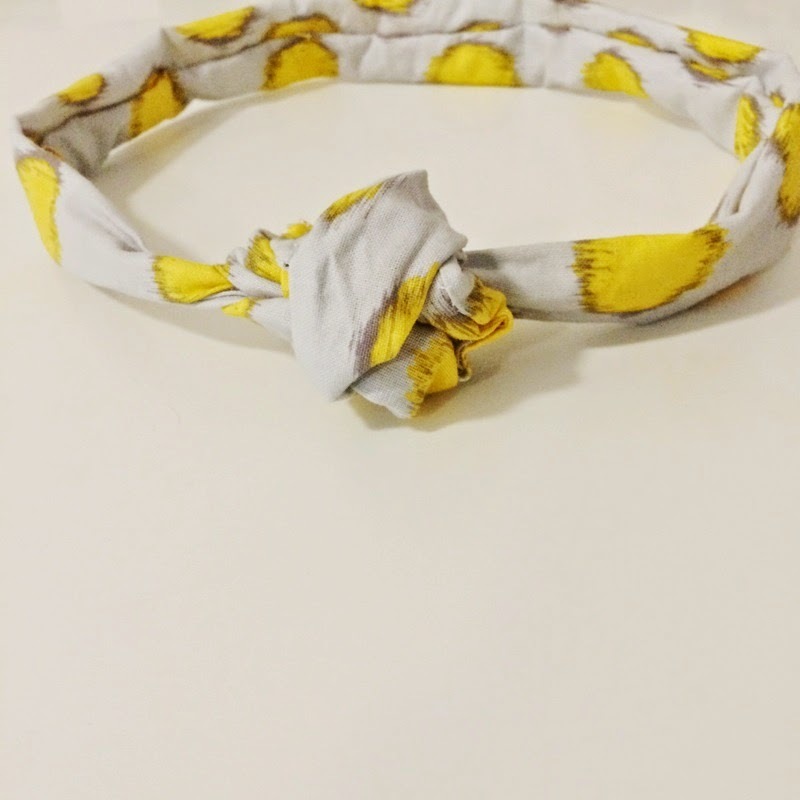 Dealing with Summer Hair: Pretty Little Headbands. | The girl who loved to write about life. 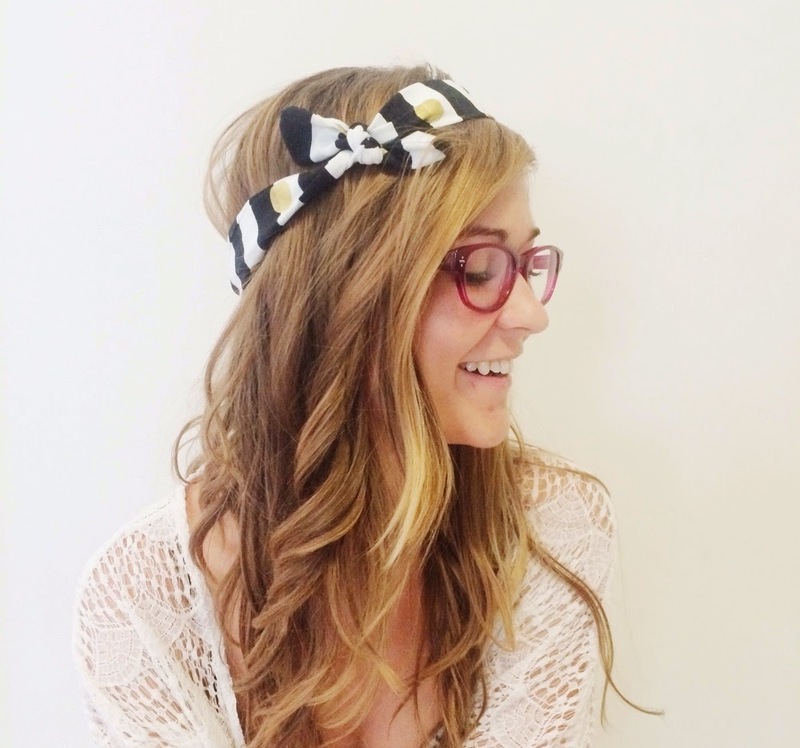 Dealing with Summer Hair: Pretty Little Headbands. There comes a time every year where I really get the urge to chop all of my hair off. I pin pictures of shaggy bobs and decide that I'm going to have short, wavy hair that doesn't even touch my shoulders because it's too dang hot to have long hair. But then I remember how much I love being able to throw my hair in a bun and I cancel my salon trip. I'd say this is a pretty common theme with women everywhere once the summer hits, but because I live in Florida, this epidemic tends to happen a few weeks after Christmas. If I went by the weather, I'd be chopping my hair off every other week from January-September. So instead, I make headbands. And bows. And anything that will make it look like I tried with my hair, when we all know I didn't. Few things make me as happy as falling in love with some fabric, taking it home, and staying awake way too late making as many different types of headbands as possible from it so I can have new stuff in my shop. And that's just what I did this week. These black + white + gold headbands may be my new favorite thing ever. Pick a few up for yourself and use the code SUMMERHAIR for twenty-five percent off any order of $10 or more. Happy summer. Here's to messy buns and pony-tails and pretty little things in your hair. 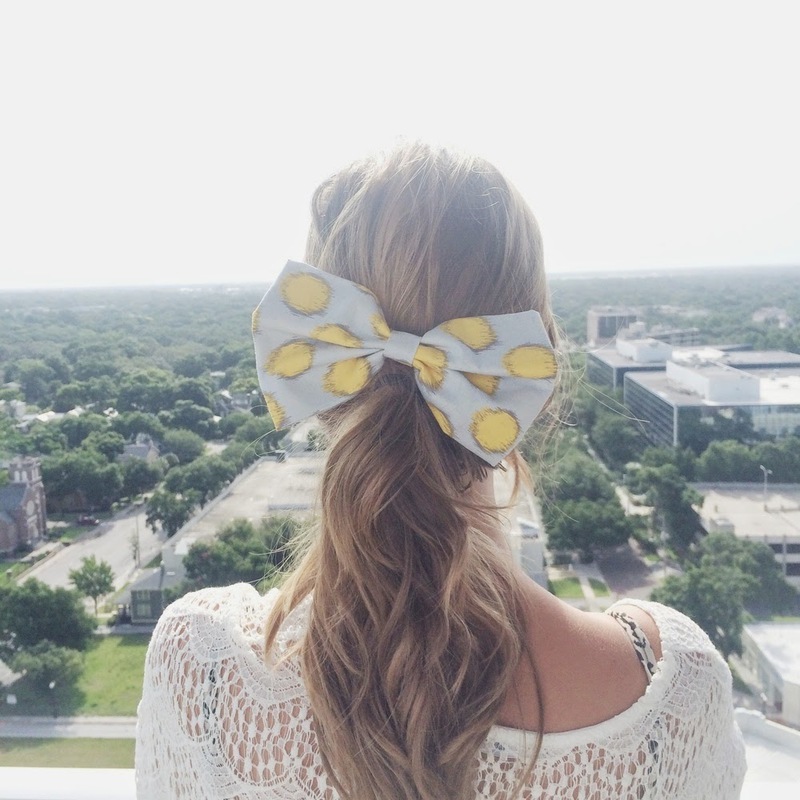 I love love love bows. I am a huge fan of a sock bun with a bow under it. I have been contemplating chopping my hair. It's long, but it's at that not-long-enough awkward stage. I need another 2-3 inches and I'll be content. headbands definitely help me from making crazy decisions on a whim. Black, gold, and white is one of my favourite colour combos, love it! Your hair looks so pretty too! love love love a good headband to pull the hair out of my face and up off my neck in the summer!! so cute!!! LOVE. I've started this whole "don't spend any money on yourself" thing for the month of July but definitely plan to come back in August to pick up some of these beauties! Love these! You always look so fabulous and your pretty little creations are perfect! OMG I love the bow! It looks so cute on you!! I sometimes think about chopping my hair, but then I see someone with long hair and I think twice about it. So I think I'll wait until I stop thinking twice before I chop mine off. :) I love the hair accessories that you have in your shop. I ordered a few. I love that bow! it looks really cute! Your hair is gorgeous, and the headbands are great!! Oh love the head bands and your summer hair is gorgeous, mine? Hmm not so much.